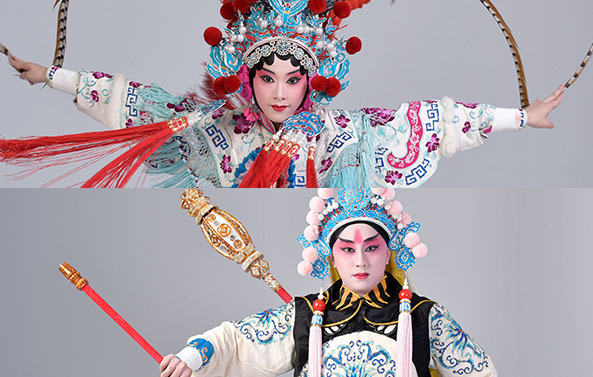 In order to nurture young traditional opera talents, Taipei City Arts Promotion Office (TCAPO) established Dadaocheng Youth Taiwanese Opera Troupe in August 2011. Group members are composed by young professional performers, graduates and students from National Taiwan College of Performing Arts (NTCPA), and superior amateur enthusiasts from colleges. Under professional instruction, new young talents get great chances to practice their skills, grow and develop themselves here. Thus, they have already gained abundant support and recognition from the audiences. 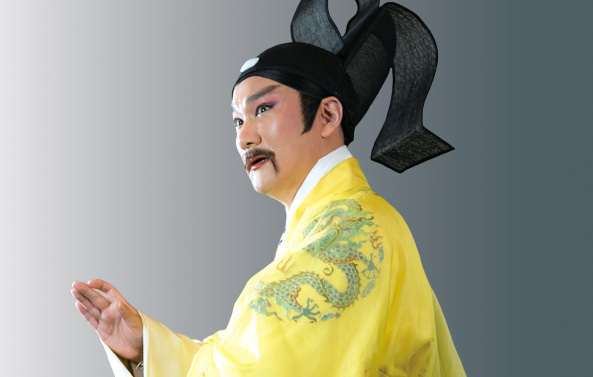 Also, the team is targeted at attracting more and more young Taiwanese Opera audiences to participate, and expects to make this culture turn out to be more diversified and younger. 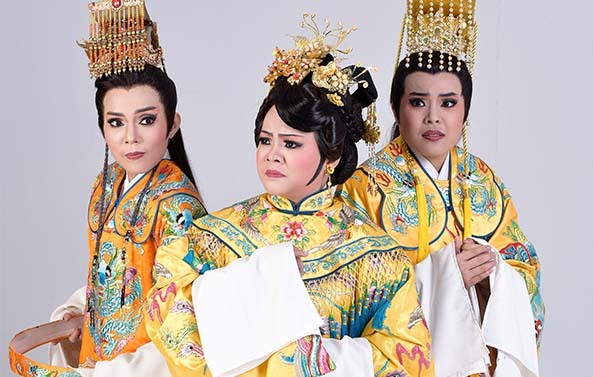 The scenario is adapted from the traditional play Guanyin Subdues the Great Bird. It talks about an immortal Great Bird (pronounced as “Dapeng” in Chinese) was mistakenly shot by the Emperor RenZong of Song dynasty when he was wandering around the sky. He was irritated while finding himself hurt by the Emperor’s arrow. Out of anger, he disguised himself as Emperor RenZong and troubled the Song Palace. Since there were two same emperors, even the wisest courtier, Baogong, was confused and misled. It resulted in the death threat of the true Emperor RenZong and put the Song Palace in danger. The play characterizes on both singing and acting. Besides the emphasis on the gestures of the artists, there is a long aria performed to trace back the historical event about replacing the prince with the raccoon dog in order to distinguish between the fake and real emperor. The piece especially features the extraordinary vocal singing skills of the performers. Under the complete and professional performing training at NTCPA since she was young, Mi-Na has instructed by many great masters such as LIAO Chiung-chih, SUN Tsui-feng, CHAO Chen-hua, CHAO Mei-ling, LU Chiung-wu and CHANG Meng-yi. She was a member of Taiwanese Opera Youth Talent Cultivation and Cooperation Platform Project held by National Center for Traditional Arts in 2013. 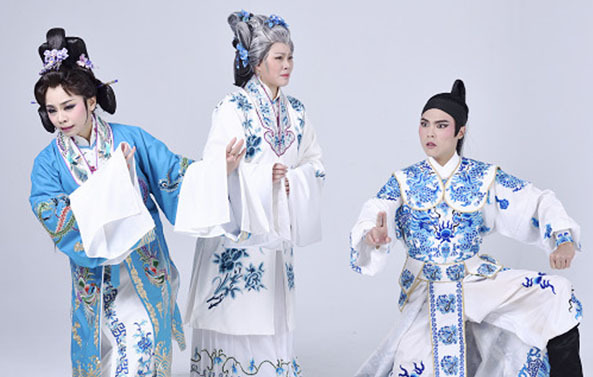 After that, she joined XIN CHUAN Taiwanese Opera and Ming Hwa Yuan Arts and Cultural Group for their indoor, outdoor and overseas performance. With her handsome stage appearance, solid martial arts skills and nimble body movements, she always interprets the characters vividly and gain good recognition from the audiences. Her recent representative characters and works include Nezha in Raging Waves in the East Sea, GONGSUN CHU JIOU in Everlasting Loalty and PANG JUAN in The Night Battle of Maling. LIN Chih-ling is now a member of Dadaocheng Youth Taiwanese Opera Troupe. She took part in the New Seedling Cultivating In-Park Training Program held by National Center for Traditional Arts in 2016. 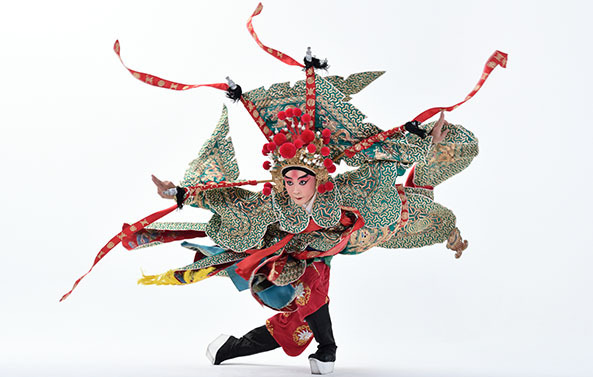 She participates in XIN CHUAN Taiwanese Opera, Shi Hui Jun Taiwanese Opera Troupe and Lanyang Taiwanese Opera Troupe for indoor and outdoor performance. Her stage appearance and figure is handsome and tall. Her vocal sounds loud and clear. She performs with good rhythm and is affectionate. Her recent representative characters and works include XU XIAN in Love between Heave and Earth, LIU QI in Lotus in Deep Sorrow-CHEN JING GU, SHE TAIJUN in Female Generals in Yang’s Family, SUN BIN in The Night Battle of Maling. LI Yi-chun has performed in outdoor stage because of her enthusiasm for Taiwanese Opera since she was young. She is good at speaking Taiwanese fluently, and acting naturally while dealing with unexpected situation. With great experience she entered the Department of Taiwanese Opera at NTCPA to advance basic and fundamental skills. At school, she impressed the audiences deeply with a classical character A-TA SAO (sister-in law) in The Sound of Surf on the Shore - Stories of MacKay, Taiwan’s Son-in-Law. LI has attractive and vividly singing and acting skills. Besides being expert in Chou (the male comedy role) and Tsaitan (female comic character), she keeps learning extensively to perform different type of characters from many famous masters in order to challenge herself. Her recent representative characters and works include: Empress Dowager in A Great Bird Troubles the Imperial Palace, CHANG BIE GU in Murder Accused by the Black Pot and DOU YI HU in Qipanshan (Mt. Checkerboard). Today the number of：52人 / The total number of visitors：131,014人 / Last Updated：2019/04/19.